Strapless top 80's Silk Jicky. 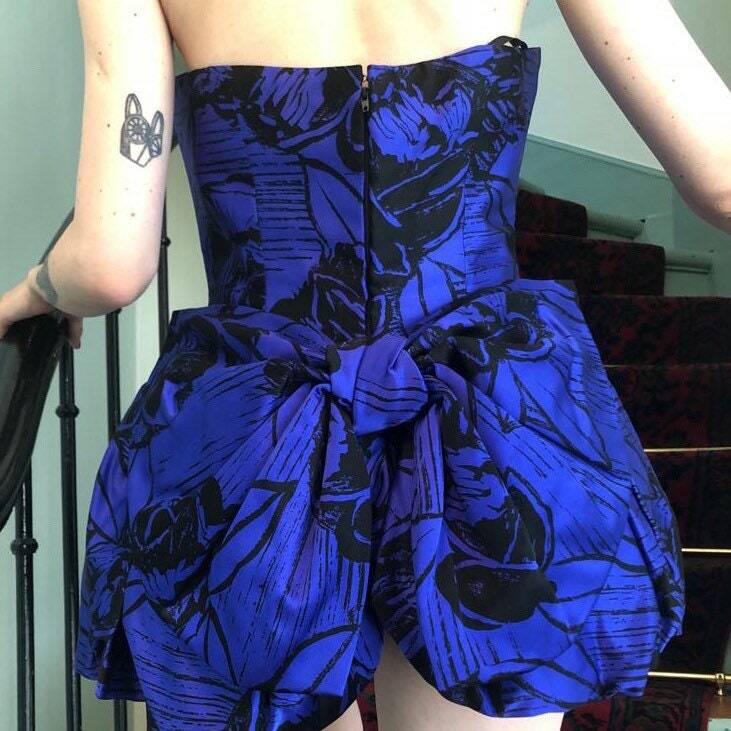 Electric blue with a big bow in the back. To wear with a slim or a pencil skirt. Very nice original piece. Size 38.